Duties: The sheriff's office is responsible for law enforcement and the county jail (see more below). Location: Jefferson County Law Enforcement Center, 1200 W. Grimes Ave, Fairfield, Iowa. 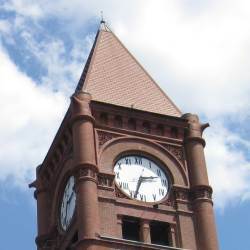 The Fairfield Police Department is also housed in this building, as well as the County Jail. Front row L-R: Sheriff Gregg Morton, Chief Deputy Bart Richmond, Lieutenant Jerry Marcellus, Civil SGT. Michele Campbell, Civil Clerk Ruth Deao. 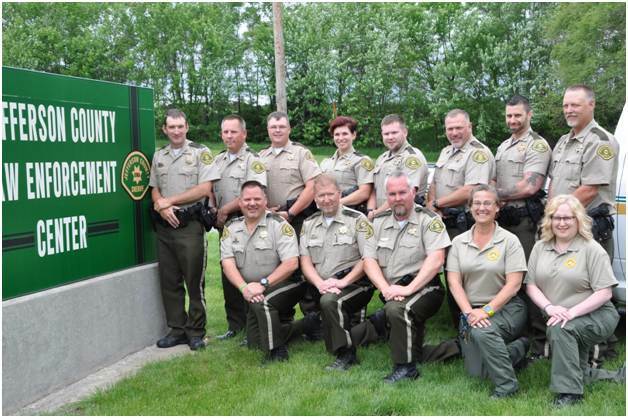 Back row L-R: Deputy Mark Miller, Deputy Rusty Simpson, Deputy Kent Lox, Deputy Angela Pohren, Deputy Justin Smith, Deputy Tracy Vance, Deputy Aaron Hopper, Deputy Kris Metcalf.